Cleary Millwork offers many hardware needs that will best compliment your commercial doors. Cleary Millwork offers a complete range of hardware and accessories needed for commercial applications. Available hardware includes lock sets, exit devices, flushbolts, weatherstripping and sills, pocket door frames, barn door kits, hardware accessories and more. 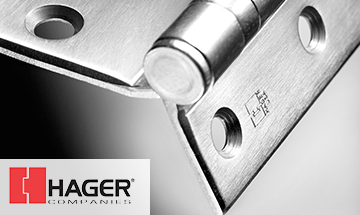 Hager provides high quality commercial door hinges, available in steel base hinges and non ferrous base hinges. Commercial grade hinges are stocked at Cleary / Wholesale Doors in a variety of finishes including dull chrome, satin nickel, bright chrome, oil rubbed bronze, dull bronze, dull brass, bright brass, satin stainless steel and primed. Select continuous door hinges are a secure solution for high traffic commercial door openings. Standard and heavy duty continuous hinges are in stock at Wholesale Doors in aluminum and dark bronze finishes, sizes 85″ and 95″. 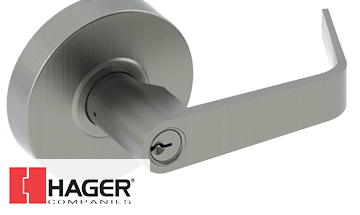 Hager standard duty, Withnell lever lockset is a perfect combination of value and performance for commercial applications. 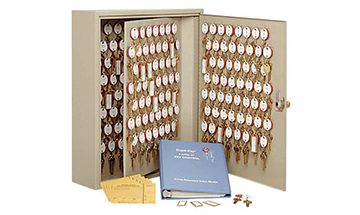 This grade 2 lockset is available in a variety of functions including passage, privacy, entrance, classroom, storeroom, and single dummy locksets. 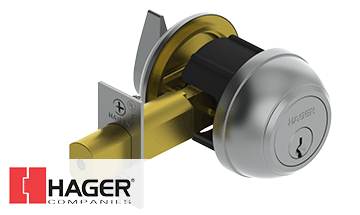 Hager standard duty commercial series deadbolt lock is a great alternative to grade 1 deadbolt (when use is not required). This grade 2 deadbolt lockset is an ideal choice for typical commercial use. Available in a variety of functions including single cylinder X thumbturn, double cylinder, thumbturn X occupancy indicator, thumbturn X blank plate and thumbturn only. 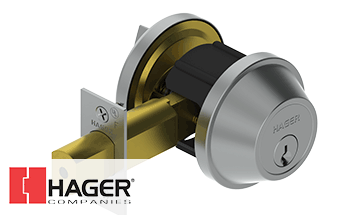 Hager extra heavy duty commercial series deadbolt lock is designed and engineered to withstand high traffic commercial environments. This grade 1 deadbolt lock provides extra protection against break-ins and supplies a lifetime warranty. Available in a variety of functions including single cylinder X thumbturn, double cylinder and classroom single cylinder X thumbturn. 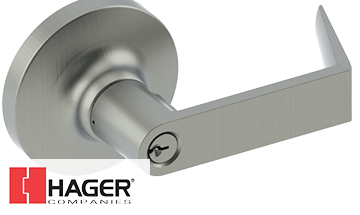 Hager extra heavy duty commercial, industrial series, Withnell lever lockset is a perfect combination of value and performance for commercial applications. The grade 1 lockset is available in a variety of functions including passage, privacy, office, entrance, classroom, storeroom, classroom security and single dummy locksets. 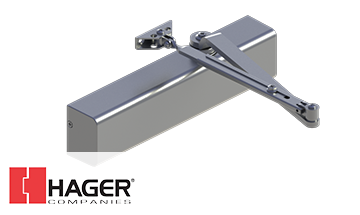 Hager heavy duty exit devices are ideal for use in heavy duty commercial applications including office buildings, medical facilities, schools, and hospitality structures. Available aluminum finish, this grade 1 heavy duty exit device provides security and premium performance. 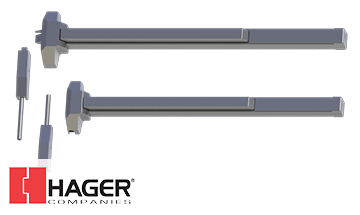 Hager standard duty exit devices are designed to provide superior performance and security on doors in a range of light commercial and standard duty door usage. Available in aluminum finish. 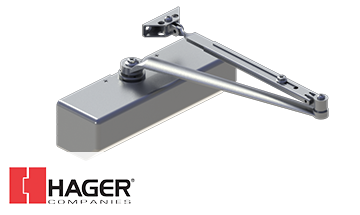 Hager heavy duty 5100 series door closer’s are designed for heavy use environments including schools, hospitals and high commercial traffic use. Cast iron body with full plastic cover. Available in aluminum finish. 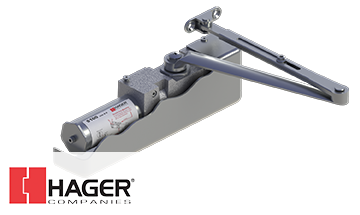 Hager heavy duty 5200 series door closer’s are designed for heavy use environments including schools, hospitals and high commercial traffic use. Cast iron body with full plastic cover. Available in aluminum finish. 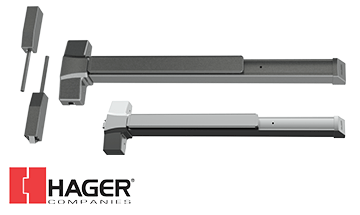 Hager heavy duty 5300 series door closer’s are designed for heavy use environments including schools, hospitals and high commercial traffic use. Cast iron body with full plastic cover. Available in aluminum finish. 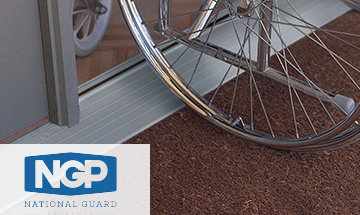 NGP aluminum sills feature easy entry, high performance and great protection from air and water infiltration. At Wholesale Doors we stock 1/4″ and 1/2″ tall aluminum sills, medium duty aluminum sills and 1/2″ tall thermal break aluminum sills. See also our residential sills. 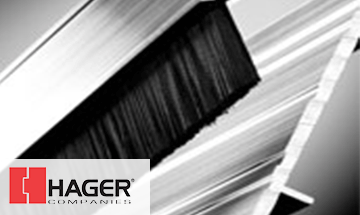 At Wholesale Doors we stock brush weatherstripping, door sweeps, astragals and bulb weatherstripping for all of your commercial door needs. Easily assembled, structurally strong pocket door frames designed for fast installation in standard 2×4 timber or steel frame stud walls. 1500 series available at Cleary Millwork. 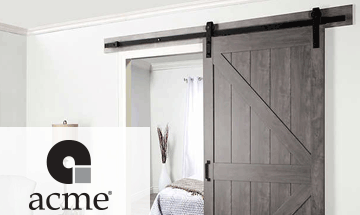 Acme Barn Door kits make for an easy install. Kits include track, strap and all mounting hardware. 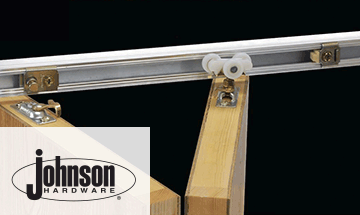 The hardware supports 1-3/8″ and 1-3/4″ solid core flush and solid core molded wood doors. Bent strap, straight strap and top mount hardware kits available in stainless steel and matte black. 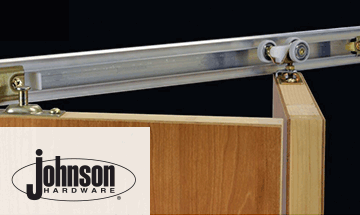 Johnson heavy duty bypass slider features commercial grade top hung sliding door hardware. Commercial grade aluminum track provides the ability to withstand accurate force of high commercial use. 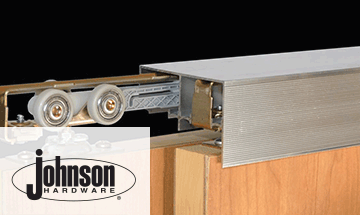 Johnson Bifold 111FD series is a top mount, compact bi-folding door hardware system. It is best suited for light commercial applications. 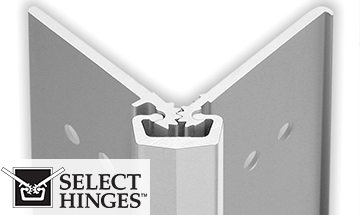 Door hangers and pivots feature a quick disconnect clip system for mounting or dismounting of door panels. Available for door sizes up to 24″ wide x 108″ high. 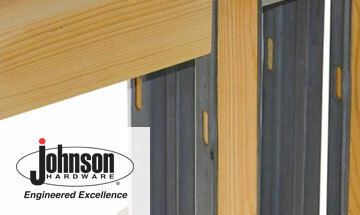 Johnson Bifold 110FD series is a top mount hardware system designed to carry heavy solid core doors. Door hangers provide quick and easy disconnect clip system for mounting or dismounting of door panels. Available for door sizes up to 24″ wide x 108″ high.